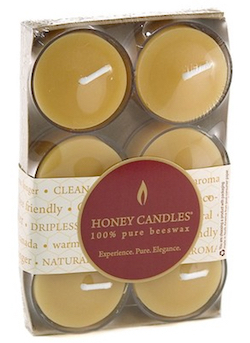 Beeswax is a 100% natural product. It is derived from the same source as honey, therefore, when they burn, they fill the room with the scent of honey. Beeswax candles burn extraordinarily bright. They are smokeless, and last much longer than any other wax candles.